We are the leading manufacturer, exporter and importer of Disposable Cap. Packing Type 50/100 pcs in a poly pack ,Carton packing 50 x100 pcs poly pack. 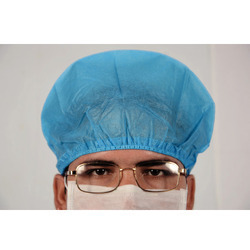 Enriched with vast industrial experience, we have been able to offer a broad range of Disposable Surgeon Cap. 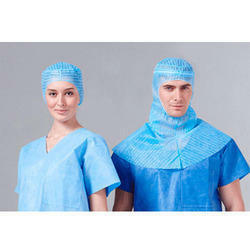 These are widely demanded by hospitals for use by surgeons during operations for the protection of heads and to prevent hair fall. These are disposable and are acknowledged for their perfect fitting, easy usage, and are comfortable to wear. We offer a stringent quality check of our products on various parameters before delivery to ensure their durability and quality. Half round soft elastic to grip head comfortably. 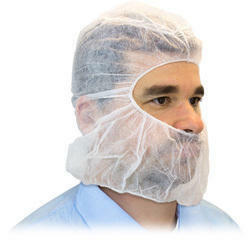 Since the inception of our company, we are engaged in providing a comprehensive array of Disposable Bouffant Caps. Widely demanded by hospitals, pharmaceuticals industries, food industries, electronic industries, etc. these caps provide protection from germs and bacteria. These caps are easy to use, disposable, and are environment-friendly. 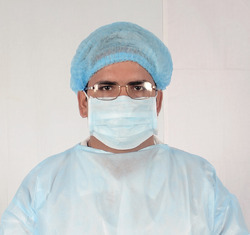 This product is fabricated by using best quality material procured from the reliable vendor to meet the guidelines set by the medical industry.